Special Adviser on Media and Publicity to the Deputy Senate President, Ikechukwu Ekeremandu, Mr. Uche Anichukwu has called on Nigerians media practitioners to uphold professionalism in their reportage in order to move the country forward. Mr Uche made the assertion when speaking at a reception organized by the newly appointed Special Assistant to the Deputy Senate’s President Alhaji Ismail Omipidan for journalists from Kaduna yesterday in Abuja. Uche added that the media as the fourth realm has great contribution to make in the sustainability of the country democracy. He said Nigeria Journalists have intelligence that can compete with any person from the pen-pushing profession in any part of the world. He however said there is a need to check quackery in the profession in order to move Journalism forward. His words, “I want to used this opportunity to call on my colleagues to know that what we are going to be in life has already been programmed by our creator and we should allowed him to decide our fate. “The case of Alhaji Ismail is a food for thought for some of us. When he was awaiting the result of the Kaduna NUJ election, our boss has mandate his Chief of Staff to prepared his letter of appointment and on the day of the election I called him that his attention is needed in Abuja but he replied that he cannot make it that day because of the election. “Gentlemen from Kaduna, you know better than I do what happened in the election. Why am l saying all this? The answer is simple trust in God because I am sure that the person proclaimed the winner in the Chairmanship election would have been glad to trade his seat with Ismail but God controlled our destiny and we should allowed him to have his way in our life,” he said. Speaking in the same vain the Special Advise to Kogi State Governor on media and publicity, Jacob Edi said Nigeria Journalists must arise to their call of duty and shun all unprofessional behaviour. Mallam Musa who was the Director of the Ismail Omipidan Campaign Organization at the recently concluded Kaduna NUJ election hinted that he prayed to Allah before election that it should be crisis free and success for his candidate and he was assured that his prayers has been answered. 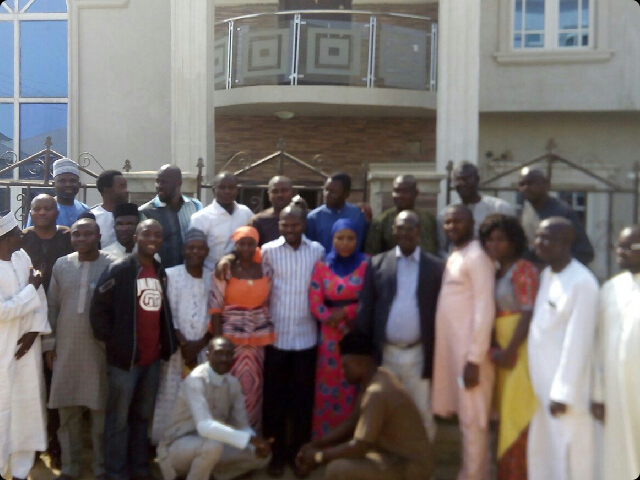 The host, Alhaji Ismail Omipidan thanked the delegation for their support before, during and after the election and wished the entire NUJ Kaduna family a huge success in their endeavours.